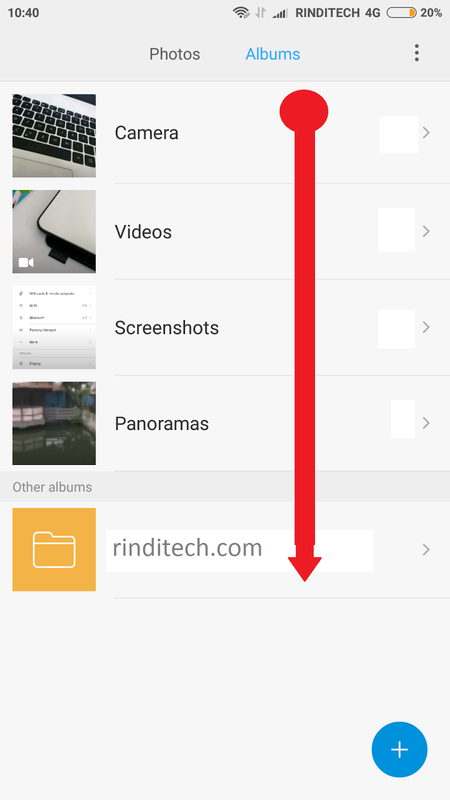 Here is an easy way to hide and unhide photos or any file on the Xiaomi smartphone and also how to view and bring it back to gallery as it used to be. 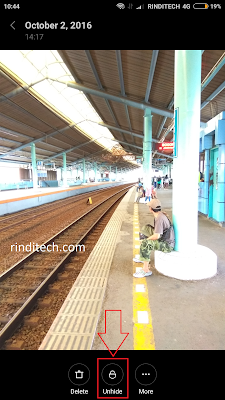 you need to use password if you want access to the hidden storage area. Have photos or files that need to keep it secret? Although we are not a pubic figure but we also have personal boundaries about it - whatever it may be seen and not, as for example when we have a secret project in the works and there are files (not just photos) that should still secret before it published after all, then hide it is a very reasonable way to do. This feature is also available and can be applied to other types of Xiaomi smartphone as well, not limited to redmi Note 3 and it can be used by smartphones from MIUI 7, MIUI 8, or earlier. At the beginning of the use of this feature will ask us to enter the 4-digit number that we use as a master password that is often used to grant permission to such sensitive things like personal user data, when we want to register fingerprints, etc. Select image or files that you want to hide by marking it similar way if you want to send or move one or more images. Until the selection menu appears. Select >More then >Hide until you are prompted to enter a master password (4-digit) that you set to lock the phone. Enter the four-digit password that is used to provide access to sensitive information like when you are going to add a new fingerprint, or change the password, etc. This password is usually made at the time we turn on the smartphone for the first time. After entering the four-digit password you will be prompted to create patterns (Pattern-lock) is used to lock the access to a those hidden files saved to (for the first use is usually asked two times to confirm the use of the new pattern). Step 3 & 4 only needs to be done during the first attemp, for the next hiding process file will automatically disappear and stored in a hidden folder. After all the process completed then the files will not be seen again in the gallery, as well as when you searched it from the file explorer, it will not be found. Pull down or drag your finger or thumb on the screen from the top folder until the pattern-lock appears. Do not start dragging too high because if it's too high then you will only open the notification window, rather than hidden file folder. Enter the pattern that has been made before, exactly at the time we make hidden files or photos and you will enter the Hidden folder album. If you only want to check photos or files that have been hide the the tutorial stop in here, but if you want to bringthe files back to its original place (unhide) then you should proceed to step #4. Pick or mark the files or photos that you wanted to appear again to a gallery. Select >Unhide in the menu that appears and then select the folder where you want to move the image or files. If you want to save in the new folder you can also create a folder directly from that menu by choosing >Create an album after selecting Unhide. Done !!! All files that you hide now has been returned to its original place and can be check back in the gallery, not in the hidden album. 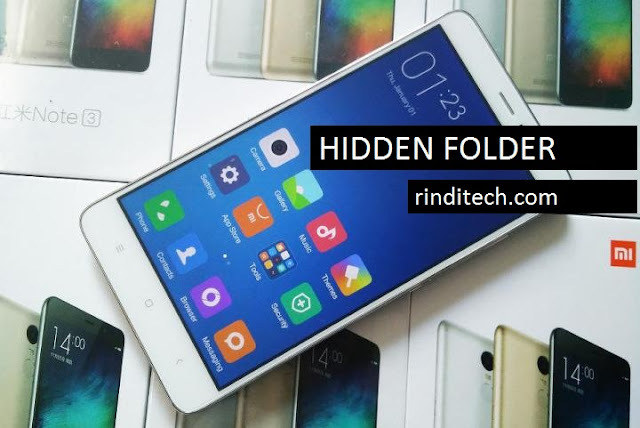 Hopefully this tutorial useful for you guys who are looking for this information about how to hide files or photos on Xiaomi smartphones and also to access and restore (unhide) it to its original place.